When Delegate Kathy Byron introduced HB 2108, cheekily titled the “Broadband Deployment Act,” she might have not have expected so much attention from local and national reporters. Local media outlets, especially in areas directly threatened by the bill, are alerting constituents about threats to improve local connectivity. National news is also covering the story, describing how Virginia communities that can't get high-quality connectivity from national providers could fall victim to big cable and DSL lobbyists if HB 2108 passes. Constituents are taking notice, but the legislative session is just getting started in Virginia. “It hurts the area. It hurts us as the Roanoke Valley Broadband Authority, but more importantly it hurts across the Commonwealth of Virginia, its ability to be able to serve and use technology to serve economic development,” said Frank Smith. "We addressed this broadband issue because the business community came to us and said, 'Our speeds are too slow. It's too expensive. It's not where we need it. And so we need the region to step up.' So we did, and invested in it and now this new bill would really tie our hands completely." County Administrator Brent Robertson called the bill “very disturbing,” and said it could undermine the county’s work. Chuck Kirby, chief operations analyst, highlighted a few specific concerns for the county, including limitations on how any broadband efforts undertaken by the county could be funded and the bill’s low threshold for satisfactory connection of 10 megabits per second. Kirby said some county residents already have access to a 10 mbps connection, but still feel it’s too slow. If we had only privately-built highways, but really needed an interstate to spur economic growth, and private companies couldn’t or wouldn’t build it because they didn’t think they could make enough money on it, wouldn’t we opt for the government-built interstate? Sure we would, because it would be good for jobs overall. Same thing here. The Times gave her equal opportunity to present her arguments, but all she could muster was the usual debunked falsities and a complaint about press impartiality. National outlets are also following the HB 2108 story. Each year, big cable and DSL lobbyists in state legislatures try to get anti-competitive bills pushed through. Sources like DSL Reports, Ars Techinca, and Engadget are becoming old hats at reporting on bills like HB 2108. Virginia has not been a target in recent years, however, so everything old is new again. For years we've noted how incumbent ISP lobbyists quite literally pay state politicians to pass laws protecting them from competition. Most often these laws attempt to prevent towns and cities from building their own broadband networks, or partnering with a private ISP partner (like Ting or Google Fiber). The laws themselves are pure protectionism, with the only benefactor being the bottom line of large, incumbent ISPs. Now that the FCC can't prevent states from blocking municipal broadband, telecom-backed politicians are doing their best to shut down these government-run networks. "These communities are already disadvantaged because they lack access to high-quality, affordable Internet service. This legislation is designed to further burden them," said Christopher Mitchell of the Institute for Local Self-Reliance in a statement. "This bills seeks to further solidify the monopoly Virginia's ISPs enjoy at the expense of Virginians." The idea of municipal broadband has been under attack since the first high-profile city-backed network launched in Chattanooga, Tennessee a few years ago. Since then, private companies have been on the attack, placing bills throughout state legislatures that would limit municipal ability to get local networks approved and deployed. On Friday, Republican lawmaker Kathy Byron introduced one such bill in Virginia. Virginia lawmakers are considering a bill called the "Virginia Broadband Deployment Act," but instead of resulting in more broadband deployment, the legislation would make it more difficult for municipalities to offer Internet service. What is one of the most effective ways to stop competition in its tracks before it can even get off the ground? Reward a state legislator with generous campaign contributions who introduces a bill banning your would-be competitor and get back to business as usual. 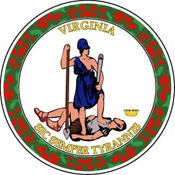 Virginia’s motto is "Sic semper tyrannis." Translation: Thus always to tyrants. Byron may not have expected so much media coverage, but she probably didn't expect to get schooled on the state motto either. Hopefully, HB 2108 will continue to garner local and national media interest and Virginians will be even more engaged in their state democratic process.